Today’s business leaders grapple with unprecedented levels of complexity. Thanks to rapid advancement in information technology over the past few decades, systems and organizations have become more interconnected, interdependent, and nuanced than ever. Complexity makes virtually every process — from basic decision making to advanced predictive analytics — more difficult, so it may come as no surprise that 1,790 business leaders in ExecOnline programs rated organizational complexity as the second-most common blind spot that derails strategy. Process complexity, unclear resourcing, and a host of other organizational barriers can all prevent effective strategy execution. So what is the solution? A typical approach to reducing complexity is streamlining — simplifying operations or adopting a lean approach. Unfortunately, most leaders find that operational discipline alone is not enough, and it can even make things worse. For example, a high-tech manufacturer struggling to meet inventory demand can streamline its production processes, but that won’t have much impact if the real problem is their constantly-expanding product line. To truly solve the complexity problem, leaders need to develop new and improved processes through creativity and innovation. A common misconception is that innovative thinking is an innate trait — a quality that only a small group of “creative unicorns” is born with. Indeed, less than half — 47% — of business leaders we surveyed agreed that they knew how to lead their team in generating ideas. In reality, however, innovative thinking can be learned and trained. In Leading Innovative Change with UC Berkeley, the innovation cycle is broken into four quadrants, defined by two different dimensions: Analysis (asking “how”) versus Synthesis (asking “why”) and Concrete versus Abstract. Although each phase is important, the lower-left quadrant — observation — is especially crucial to get right, as it kicks off the cycle. Observation involves seeing the world around us in a new, potentially different way, which allows us to see things that we might not ordinarily notice. From there, we can start to develop insights, lifting up from what we’ve observed to determine what the true problem is to be solved, and spark creative ideas for solutions to test. Solving the complexity problem may start with observing an organization’s people, and processes, more closely than before. One effective and practical observational tool that leaders can use is the Ethnographic Interview. Interviews can help you to develop an in-depth sense of understanding and discover things that you wouldn’t even think to ask people about in a survey — not only their specific needs, but also aspects of the broader context. These can include how people really behave, the ideal outcomes they’re looking to achieve, workarounds they use, or intangible things like emotional experiences and social norms. Move from closed questions to open-ended questions. Questions with only one answer can help to break the ice and make interviewees more comfortable, but open-ended questions let people answer with whatever’s first on their mind — a more valuable way to understand the most important aspects of their experience. Move from fact-based questions to emotion-based questions. Questions that get at what people think or do don’t provide an opportunity to make connections; you need to tap into how people feel. Emotion-based questions can not only help build intimacy and connection, but also clarify what is going on under the surface – or draw attention to areas that might have been overlooked. Move from problem-oriented questions to future-oriented questions. Rather than asking about what happened in the past, focus more on people’s desires and the positive outcomes that they would want to see in the future. Thinking about what could be possible helps unlock energy, ideas, and creativity, and it shifts emotional state in a more positive direction. In a complex organization, there are more stakeholders — and thus more perspectives — than ever to understand. Conducting ethnographic interviews with your internal customers can help you to understand them better and not only spark creative ideas for process improvements, but also surface barriers that may be getting in the way of effective strategy execution. 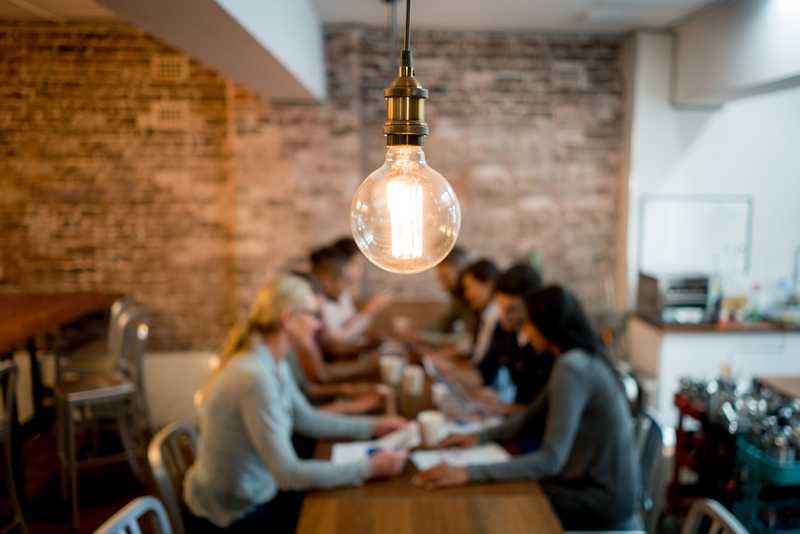 To learn more about how you can boost creative thinking and innovation at your organization, check out our program page for Leading Innovative Change with UC Berkeley or contact us at info@execonline.com. To learn more about balancing creativity and discipline in operations, check out Leading Operational Excellence with MIT.